We are delighted to present the fantastic Skytec 2x Blue LED 10" Disco PA Speakers + DJ Amplifier + Cable System 800W. With so many DJ products on offer these days, it is wise to have a manufacturer you can have faith in. The Skytec 2x Blue LED 10" Disco PA Speakers + DJ Amplifier + Cable System 800W is certainly that and will be a excellent birthday present. 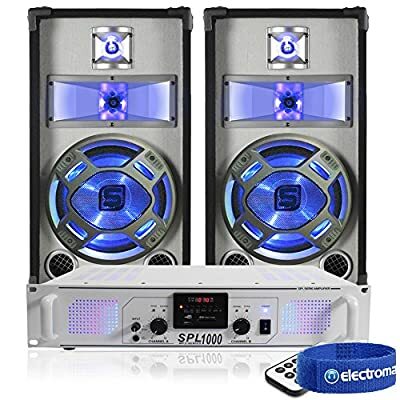 For this great price, the Skytec 2x Blue LED 10" Disco PA Speakers + DJ Amplifier + Cable System 800W comes highly recommended and is always a popular choice for most of our customers. 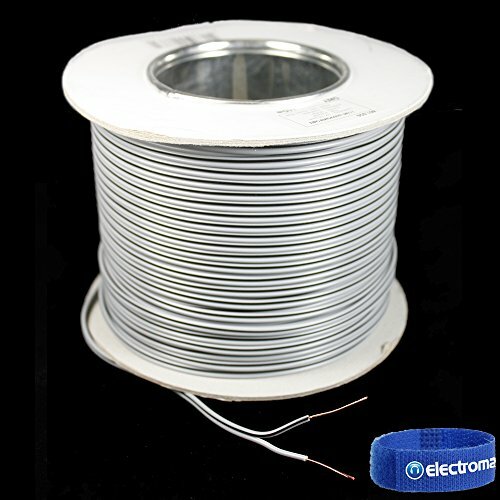 Electromarket have included some nice touches and this means a great reasonable price. This package is perfect for a zero-hassle, instant party PA or home audio system. Containing two of the blue LED 10" 800W passive speakers from Skytec, the Skytec SPL-1000 2 x 500W amplifier and all required cables; the pack will unleash your sound to cover all frequencies including those booming bass tones; great for making an impression at house parties, karaoke and punchy enough for DJ sets. 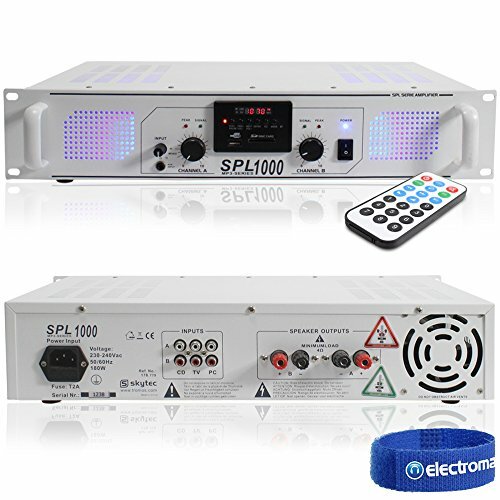 The SPL-1000 white amplifier is fitted with an attractive blue LED backlight which would compliment your home and stand out as a stylish hi-fi setup: with an integrated MP3 player and RCA inputs at the rear of the amp; you can connect the TV, CD player or USB stick (with MP3 files) to supply music and sound.